You can always legally claim a refund. The CIA sure has some people who studied law that could help you out with that. Am I still able to buy them one at a time separately upon release? I know it'll be more expensive but I may have trouble paying one bigger payment. Besides, buying separately will support DSZ even more! "Perfect for magicians who are not looking for specific kinds of tricks, but even those who are can easily purchase individual issues as well." Hey mark, when's this starting, or has it already started? Thanks in advance and my regards on this super cool idea. However, could you please explain what you meant with your question? Especially the "yet still see the intial sessions" part because I think I understood the rest. Thanks again in advance and sorry for my ambiguous use of the english language. Sure! That's exactly what makes it a full season, having all of the sessions included. We are now scratching the Twelve-Month Subscription as it only seems to cause confusion and isn't needed anyways. I checked my e-mail, didn't see anything, have I missed this? You did. We definitely sent you an e-mail too, to the e-mail address you used for the payment. Not anytime soon, but it definitely will. The studio is almost fully rebuilt (we are only waiting for some custom curtains to be made and delivered, the rest is all set up since this very weekend. For those who missed it, we were forced to move which was the reason for this rather long delay). When the studio is done, that's also when the DVDs will be finished. 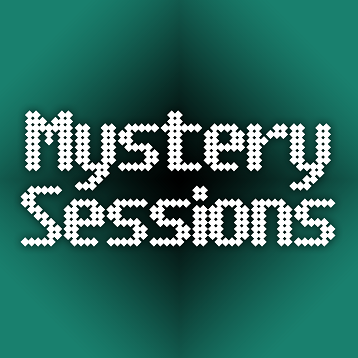 Some 'Mystery Sessions' will be filmed and edited in the meantime as they don't take as much time to produce. Also, the combination plans have changed (not their prices, don't worry). As we have no idea how long the series will run for (although we do have a minimum of 18 episodes now), we offer full season and half season plans. Should be less confusing too. Also, if you have purchased them, feel free to add me to Skype or send a PM of when you are able to video chat (no Skype required) so I could already show you some of the things you will be getting in the sessions That is how it works with all other pre-orders as well.